The picture of the early American West would not be complete without a fashionably dressed madam standing at the top of the saloon stairs surveying the activity below. More than just casual observers, these tough-talking and whip-smart women often had a pistol hidden in the folds of their skirts, ready to take on cowboys, ranchers, lawmen -- any man who dared to cause trouble on the premises or to threaten their livelihood. In a time when most women were dependent on husbands and fathers, madams -- the women who owned, managed, and maintained brothels -- took fate into their own hands, using feminine wiles and an abundance of sheer grit to make a living on the hard edge of the frontier West. 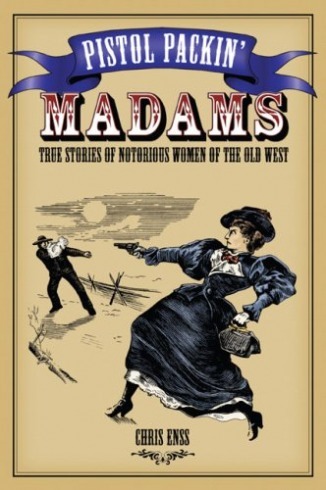 Pistol Packin' Madams examines the stories of these resourceful, oft-maligned women, whose combined adventures offer a colorful portrait portrait of the early days of the West.